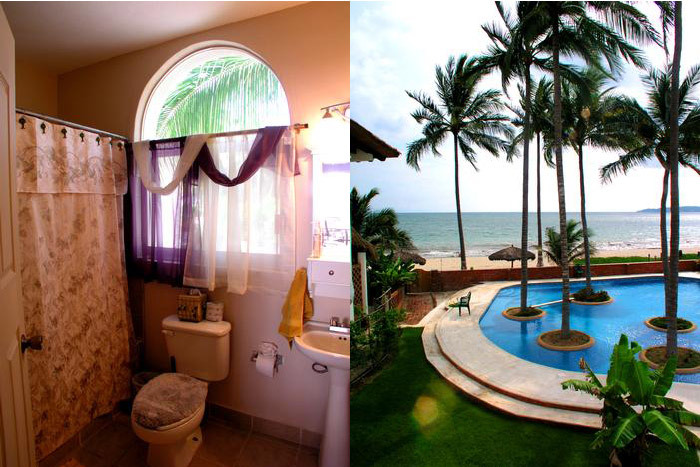 Three bedrooms, three bath duplex on the beach in Bucerias, Mexico -25 minutes north of Puerto Vallarta. Master bedroom has a king size bed, second bedroom has a full bed, third bedroom has two sets of bunk beds plus a full bed. There is a view of the pool and the beach from virtually every room in the 1765 square foot house. Great for a large family, two families with two kids or just individuals wanting to get away. 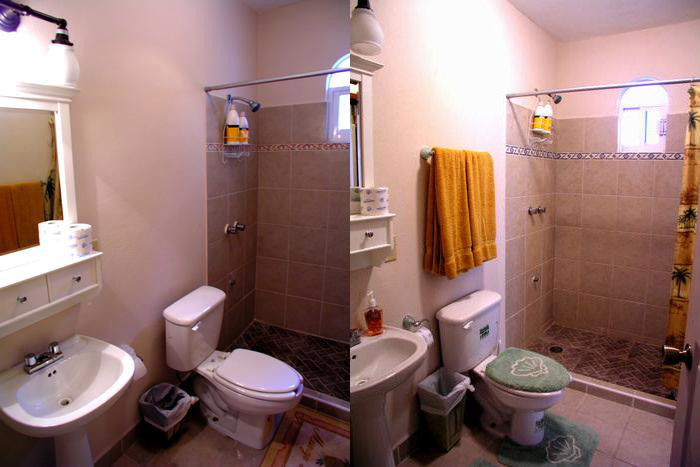 Fully furnished, including a blender for your margaritas. Linens are changed and house cleaned 6 times during the week. 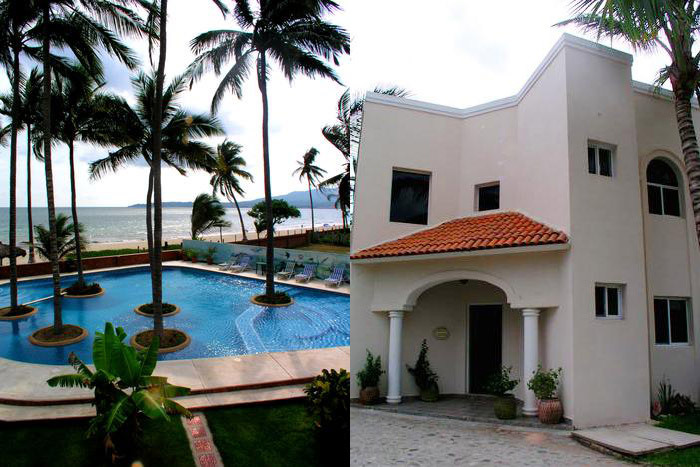 Villas de Playa has a total of eight units, two duplexes and four freestanding houses. Therefore, the villa stays relatively quiet. Views are absolutely outstanding! Shopping and eating is all walking distance. Sam’s Club and Walmart are in Puerto Vallarta to stock up on food for the week. Surf is 15 minutes north and golfing is ten minutes south at the Flamingos. Amenities: Air conditioning, DVD, VCR, CD player (stereo), full kitchen, microwave, cooking utensils provided, linens provided. No smoking.